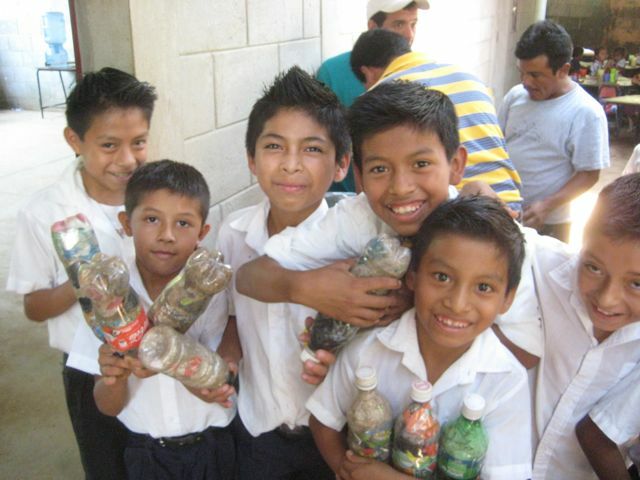 American Peace Corps volunteer Justin Hargesheimer is helping build a school in Guatemala and in a wonderful example of recycling, future students will learn their lessons in a building partly made of plastic bottles filled with rubbish. Alaskan Hargasheimer, 32, got locals involved in the project from the start. 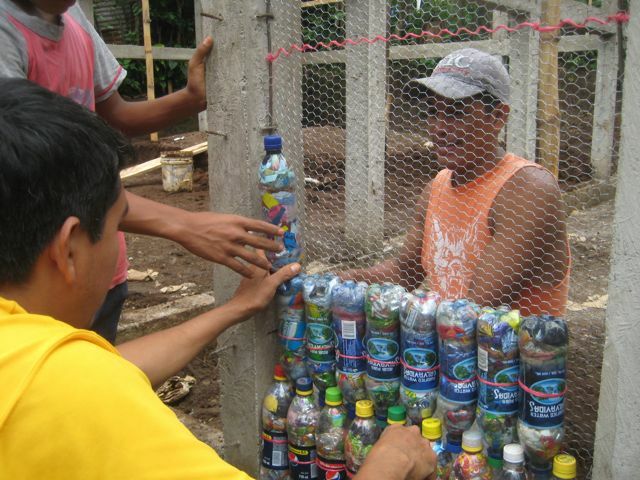 Residents of Nuevo Paraiso spent months collecting 6,500 plastic bottles and filled them with non-recyclable rubbish to make 'eco-bricks' to help build the 1,033 square foot new school. Before the project started on May 24, pupils studied outside with just a metal roof to shelter them from the heavy rains of western Guatemala, they should have a new school ready by August 21. "It's inspiring to watch the community come together for the benefit of their children, who desperately need a permanent building to conduct classes," said Hargesheimer, of Fairbanks, Alaska. The project, funded with the help of American non-profit Hug It Forward is one of many bottle schools projects in Guatemala. Hug it Forward pays for materials and skilled labour but asks communities to find the bottles and help out with unskilled labour. Hargesheimer has been working for the Peace Corps in Guatemala since November 2010 and will be there until October next year. "The project is rewarding in so many ways. A community is joining together, the local environment benefits and most importantly, children will have a space conducive to education," Hargesheimer said.